Robinson, Douglas. Giants in the Sky. A History of the Rigid Airship (Zeppelins, dirigibles). Photo available. Seattle. University of Washington Press. 1973. 376 pps. Octavo. Hardcover. Second edition. Illustrated. Important reference work. Fine copy in fine dust jacket (in mylar). Robinson, F. Willard. 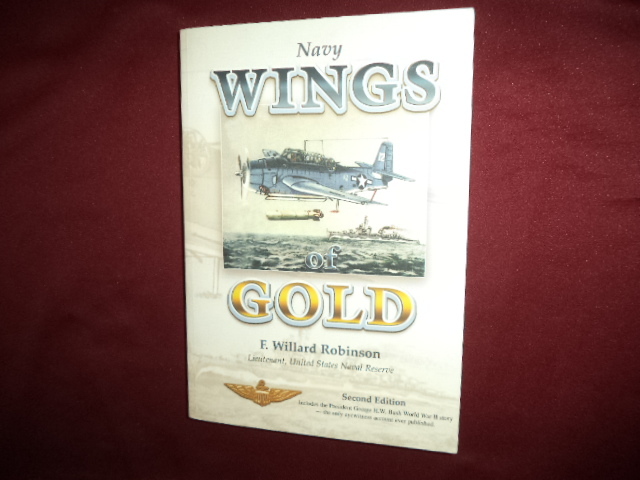 Navy Wings of Gold. Inscribed by the author. True Love, Ferocious Combat, and Miraculous Survival. 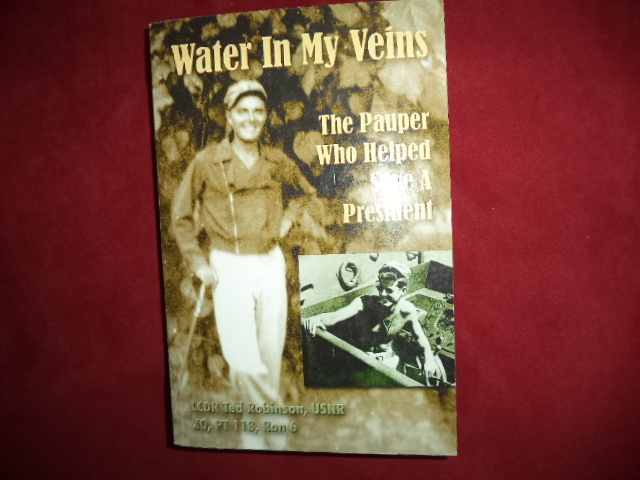 Personal Accounts of Heroic U.S. Naval Aviators in World War II. Photo available. np. River Park Press. 2004. 342 pps. Octavo. Soft cover. Second edition. Illustrated. Important reference work. 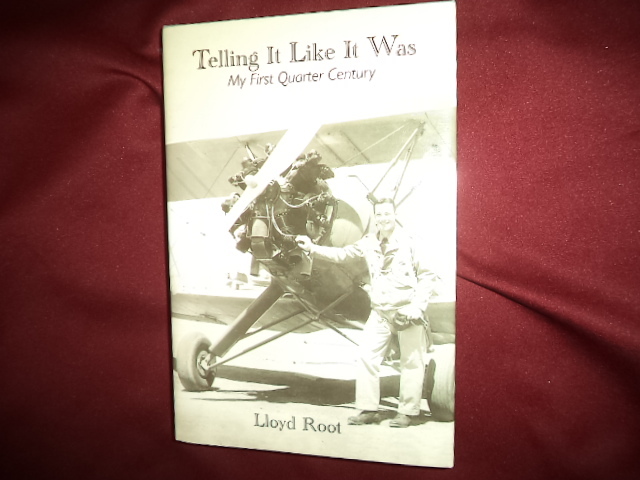 Inscribed by the author "To David - As a pilot you will relate to much of what I wrote Robbie To Willard "Robbie" Robinson". Fine copy. Robinson, LCDR Ted, USNR. XO PT 118, Ron 6. Water in My Veins. Inscribed by the author. The Pauper Who Helped a President. Bennington. Merriam Press. 2008. Octavo. Hard cover. First edition. Illustrated. Inscribed by the author "To Will: Have a Great Read! Ted Robinson". Fine copy in fine dust jacket (in mylar). Robinson, LCDR Ted, USNR. XO PT 118, Ron 6. Water in My Veins. Inscribed by the author. The Pauper Who Helped a President. Photo available. Bennington. Merriam Press. 2008. Octavo. Soft cover. Reprint. Illustrated. Inscribed by the author "To Marsha Have a Great Read! Ted Robinson". Fine copy in fine dust jacket (in mylar). Robinson, Patrick. U.S.S. Seawolf. New York. HarperCollins. 2000. Octavo. Hard cover. First edition. Fine copy in fine dust jacket (in mylar). Robinson, William I. David and Goliath. The U.S. War Against Nicaragua. New York. Monthly Review. 1987. 400 pps. Octavo. Soft cover. First edition. Fine copy. Rocco, Keith, Peter Cozzens. On Campaign. Inscribed by Rocco. The Civil War Art of Keith Rocco. Photo available. Chicago. The Emperor's Press. 1994. 94 pps. 4to. Hardcover. First edition. Illustrated in black, white and color. Important reference work. Inscribed by the author "K Rocco '94". Fine copy in fine dust jacket (in mylar). Rochester, Stuart I. Honor Bound. American Prisoners of War in Southeast Asia. 1961-1973. Photo available. Annapolis. Naval Institute Press. 1999. 4to. Hard cover. First edition. Illustrated. Fine copy in fine dust jacket (in mylar). 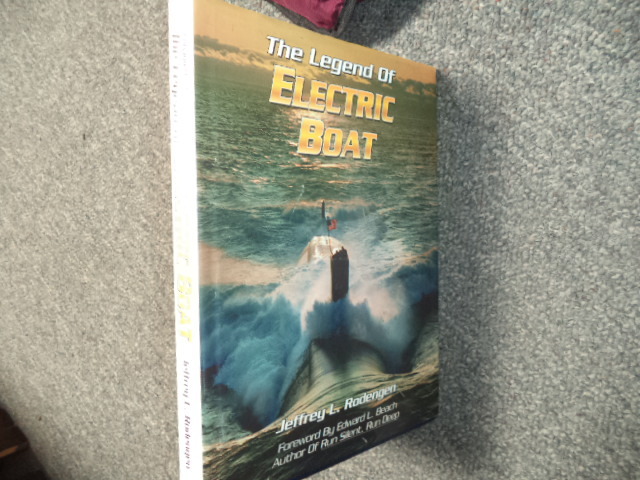 Rodengen, Jeffrey L. Serving The Silent Service: The Legend of Electric Boat (submarines). Photo available. Ft. Lauderdale. Write Stuff. 1994. 4to. Hardcover. First edition. Illustrated in black, white and color. Important reference work. Fine copy in fine dust jacket (in mylar). Roder, Dr. Thomas. Psychiatrists - The Men Behind Hitler. The Architects of Horror. Photo available. Los Angeles. Freedom Pub. 1994. Octavo. Hard cover. First edition. Illustrated. Fine copy in fine dust jacket (in mylar). Rodriggs, Lawrence Reginald. We Remember Pearl Harbor. Honolulu Civilians Recall the War Years. 1941-1945 (inscribed by author). Newark. Communications Concepts. 1991. 425 pps. Octavo. Hardcover. First edition. Illustrated. Inscribed by the author. Fine copy in near fine dust jacket (in mylar). Rogers, Horatio. World War I Through My Sights. San Rafael. Presidio. 1976. Octavo. Hard cover. First edition. Illustrated. Fine copy (owner blind stamp) in fine dust jacket (in mylar). Rogers, Mike. 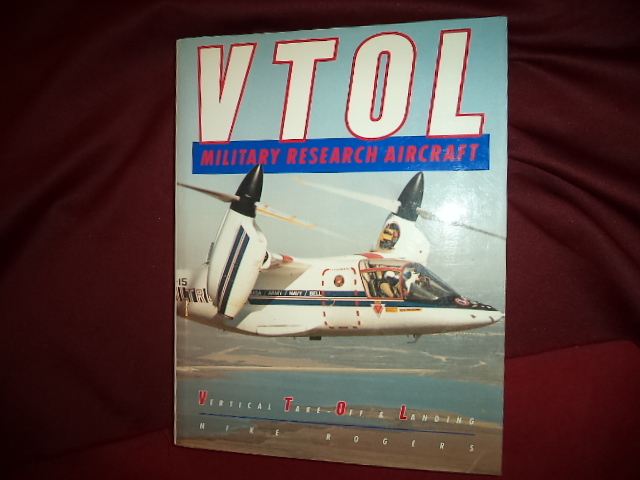 VTOL. Military Research Aircraft. Photo available. New York. Orion Books. 1898. 248 pps. 4to. Hardcover. First edition. Full number line. Illustrated. Important reference work. Fine copy in fine dust jacket (in mylar). Roland, Paul. 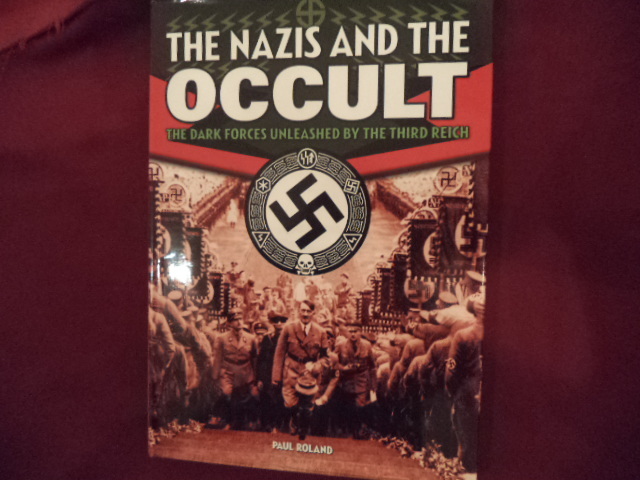 The Nazis and the Occult. The Dark Forces Unleashed by the Third Reich. Photo available. Edison. Chartwell. 2008. 208 pps. 4to. Hardcover. First edition. Illustrated. Important reference work. Fine copy in fine dust jacket (in mylar). Rolle, Andrew. The Lost Cause. The Confederate Exodus to Mexico. Norman. University of Oklahoma Press. 1992. Octavo. Soft cover. Reprint. Illustrated. Fine copy (owner blind stamp). Rollins, Richard (ed). Pickett's Charge: Eyewitness Accounts. Photo available. Redondo Beach. Rank and File. 1996. Octavo. Hard cover. Reprint. Illustrated. Fine copy in fine dust jacket (in mylar). 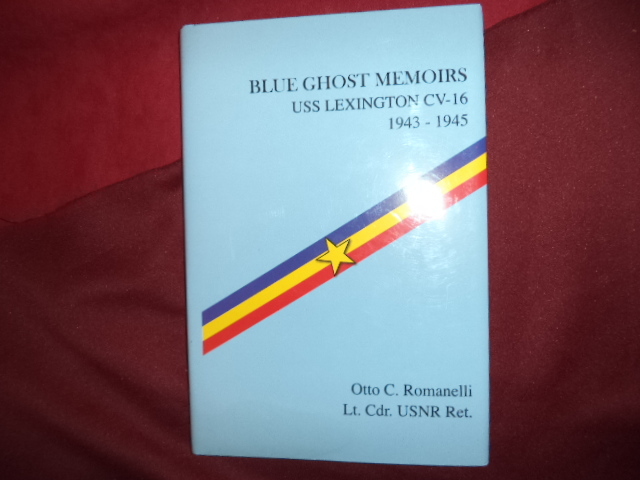 Romanelli, Otto C. Blue Ghost Memoirs. USS Lexington CV-16. 1943 - 1945. Photo available. Paducah. Turner. 2002. Octavo. Hardcover. First edition. Illustrated. Fine copy in fine dust jacket (in mylar). Romer, Horst, Karl Scherer. Germans in the American Revolution. 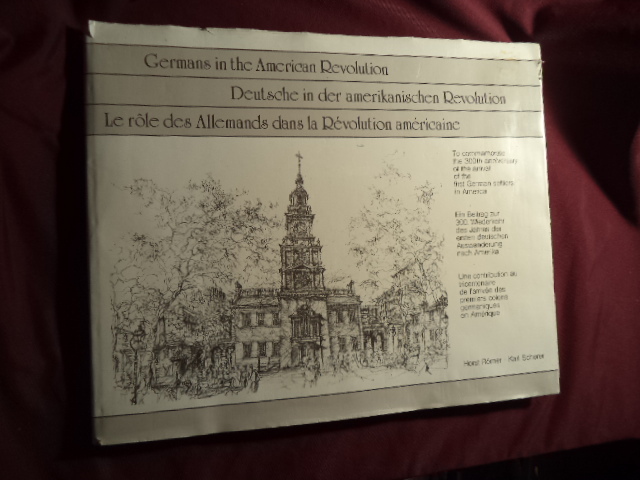 Deutsce in der Amerikanischen Revolution, Le Role des Allemands dans la Revolution Americaine. To Commemorate the 300th Anniversary of the Arrival of the First German Settlers in America. Photo available. Arnsberg. Kurt Volpers Verlag. 1983. Folio. Hardcover. First edition. Illustrated. Important reference work. Fine copy in near fine (light edge wear) dust jacket (in mylar). Roodnat, A.C. A Tour of the Anne Frank House in Amsterdam. np. Self published. c. 1971. Octavo. Soft cover. First edition. Illustrated. Near fine copy (very light shelf wear). Roosevelt, David. Grandmere. A Personal History of Eleanor Roosevelt. New York. Warner. 2002. 4to. Hard cover. First edition. Illustrated. Fine copy in fine dust jacket (in mylar). Roosevelt, Theodore. The Rough Riders. Photo available. New York. Charles Scribners. 1920. 320 pps. Octavo. Hardcover. Early reprint. Illustrated. Important reference work. Fine copy. Roosevelt, Throdore (1858-1919). Theodore Roosevelt on Race, Riots, Reds, Crime. Compiled by Archibald B. Roosevelt. Metairie. Sons of Liberty. 1968. 101 pps. Octavo. Soft cover. Near fine copy (very light shelf wear). Root, Lloyd. Telling It Like It Was. Signed by the author. My First Quarter Century. Photo available. San Francisco. Crown Resources. 2010. 339 pps. Octavo. Hardcover. Second edition. Illustrated. Important reference work. Signed by the author. Fine copy in fine dust jacket (in mylar). Rose, Roberta A. Lonely Eagles. 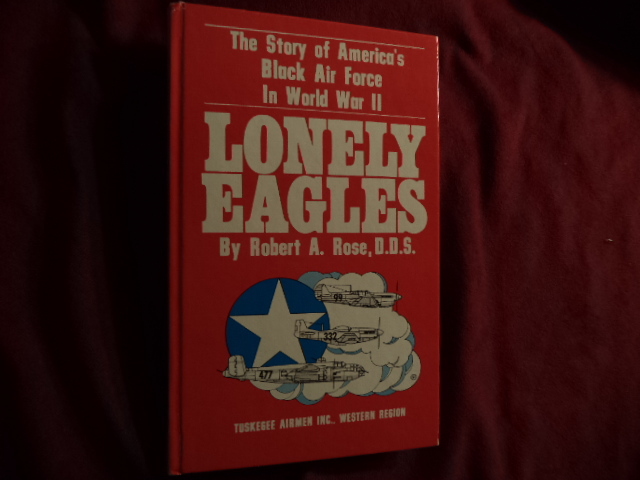 The Story of America's Black Air Force in World War II. Photo available. Los Angeles. Tuskegee Airmen Inc. 2003. Octavo. Hard cover. Reprint. Illustrated. Fine copy. Rosenbaum, Eli M. Betrayal. The Untold Story of the Kurt Waldheim Investigation and Cover-Up. New York. St. Martin's Press. 1993. 538 pps. Octavo. Hardcover. First edition. Illustrated. Fine copy in fine dust jacket (in mylar).